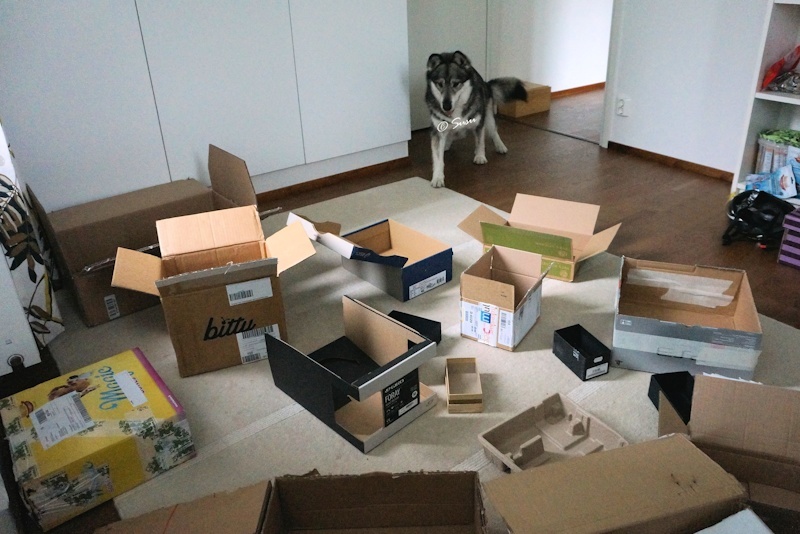 I put 10 to 15 different size boxes on the floor. 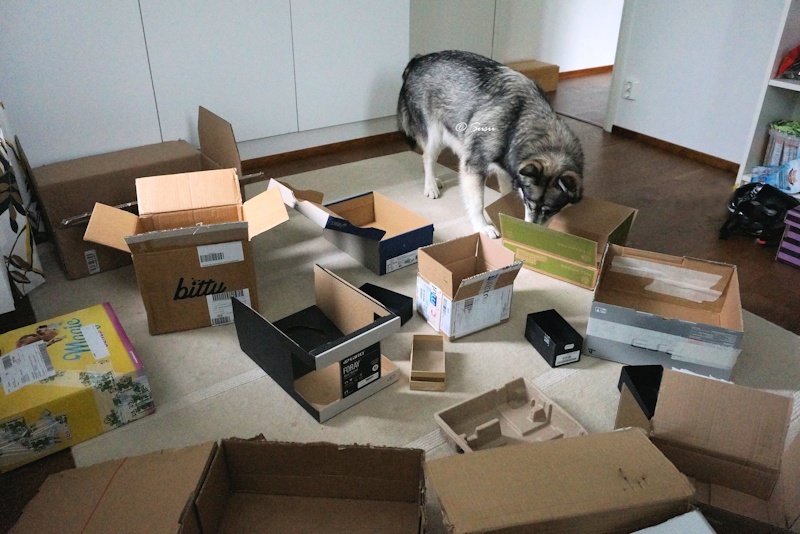 If you don’t have this many empty boxes, you can use bowls or baskets (that are not transparent) instead. Then Miki sits at the far end of the room and waits while I put one treat in only one of these boxes, then I ask him to search. 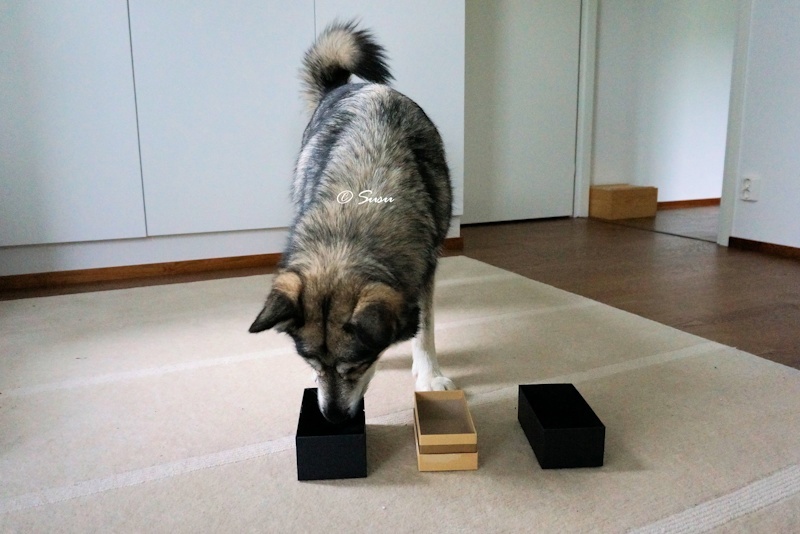 But doesn’t Miki see in which box I drop the treat? No. I take a treat from my pocket and place it inside of my palm. Then I “drop” the treat in everyone of these boxes. When I “drop” the treat, I knock the bottom of every box with my hand, so Miki cannot even hear in which box the treat really goes to. I drop only one treat at a time and select the box randomly. And I change the box I put the treat every time. 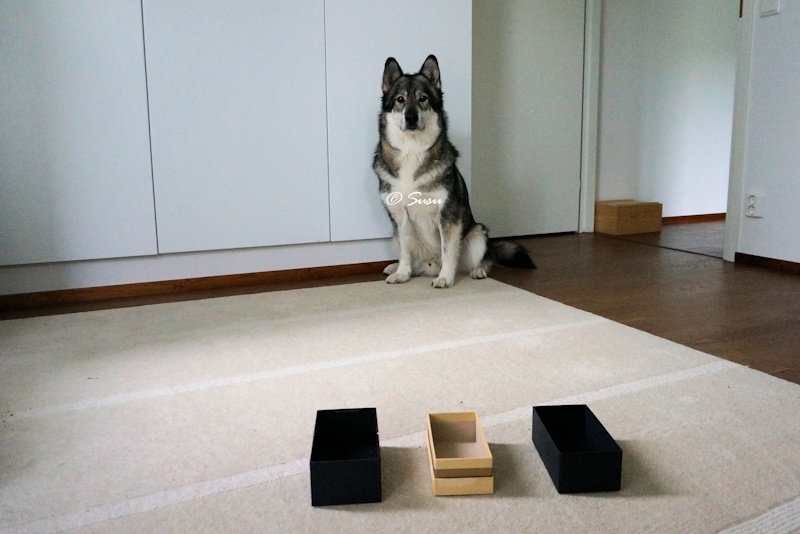 If your dog hasn’t search much before, you can start with only three boxes, like we did with Miki. Not until at the third day we played this game, I used over 10 boxes.